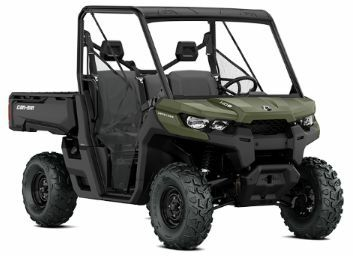 The Can Am Defender is a highly capable utility vehicle, powerful enough to take you almost anywhere you need to go and haul almost anything. Every model Defender can be customized to your specific needs, whether you have the HD5, HD8 or HD10 the frame and chassis are all the same. If want to install a Lexan windshields and poly roof we got you no problem. If you want to install a gun rack, no problem. If you are looking to put bigger tires on the Defender and you need a lift kit, no problem. At Side By Side Sports we carry all the accessories and parts for your Can Am Defender.